In Phather Phil’s absence, our District Chaplain – David Ladd – gave us one of his patented extemporaneous prayers to open the meeting. Paula and John Kalaman announced that the annual blood drive in honor of their son John P. Kalaman will be held Monday April 29, 2019, from 9 AM until 5 PM at the Centerville Police Department. 5/4/2019, Kentucky Derby Party – Miamisburg, bring a dish to share. 5/11/2019, Dayton Dragons with a luxury box. Use the sign-up sheet at lunch or email dla@arehart.com. Today was Erin’s birthday. That means we sing Happy Birthday to one of our own. Bob Duffy crushed it in leading us in being the best of the worst we can be. Mike Bevis, chair of the golf committee, said we are less than 100 days until the Tom Frazier Tee Off for Youth Golf Tournament. It will be held on Monday, July 15, 2019. Pat Behn, chair of the Easter Egg Hunt announced the Easter Egg hunt will be at 10 AM on April 20, 2019, at St. Leonard’s. Volunteers should show up at 8:30 to help spread the eggs in the grass for the kids to find at 10 AM. Coffee and donuts will be provided for volunteers! Nancy Lehren, chair of the Childhood Cancer Committee announced that the next Build-A-Bear event will be on Friday, May 10th, at Children’s Medical Center. Each child attending will receive a stuffed animal and an outfit of their choice along with other festivities. CNO members are invited to sponsor a child at the Build-a-Bear for $25. Each sponsor will receive a picture of the child sponsored holding their new stuffed animal. To sponsor a bear, mail your check payable to Centerville Noon Optimist, c/o Nancy Lehren, 6857 Cedar Cove Dr., Centerville, OH 45459. Jerry Stahley, chair of the OI Junior Golf Championship, is selling raffle tickets for the event. The price is 6 Tickets for $5 and the prize is a case of wine. Tickets will be available for the next few weeks. Mike Bevis introduced today’s speaker, Dr. Greg Ramey PhD, a pediatric psychologist and the executive director for the Center for Pediatric Mental Health Resources at Dayton Children’s. He has been at Children’s for 39 years. Dr. Ramey also writes a weekly parenting column in the Dayton Daily News that is distributed through the New York Times wire service and can be found on the Dayton Children’s blog. He recently moved to the Beavercreek area. He noticed there seemed to be no kids in his neighborhood. Then school started and there were kids everywhere. They just stay indoors and just play with technology. Plus, when it was raining he saw parents holding umbrellas over their kid’s heads. Kid’s are being too coddled and not allowed to fail. Kids are interacting with technology more than with each other. When tough things happen to them instead of turning to friends, they just go to their phones. To help patients and their families, Dayton Children’s has a Mental Health Resource Connection. The Mental Health Resource Connection program is a service that connects patients and families to available mental health services in the community. He was excited to tell us that on July 9, 2019, a new unit for pediatric mental health patients opens at Dayton Children’s. It is a 24-bed private room facility. He discussed the money issues in treating pediatric mental health patients. He said, “Debbie, my boss has never thanked me for raising so much money. That is because every one of my group’s services loses money.” Health insurance payments are way too low. An insurance company recently paid just 6 cents on the dollar for a huge bill submitted for payment. He told us we are lucky Dayton Children’s exists for our community. He thanks organizations like the Centerville Noon Optimist club for making a lot of what Dayton Children’s does possible. He gave us some things to consider about parenting. Too many children are pushed too hard for perfection and believe they need have no choice but to achieve perfection. Perfection is not possible. Constantly trying to reach perfection causes anxiety. Let your child fail. Let them feel pain. Many of today’s kids have little experience with feeling bad. Their parents get rid of troubling moments for them. When real pain comes they think the suffering will never end. We as normal adults know one thing for sure, no matter how good or bad we feel right now, we know it will end. Children need to know that if they feel bad that this will end, and they will be fine. Recently he wrote a blog post on Dayton Children’s website called “The important lesson of failure”. As for the cause of increased mental health issues, he says the number one issue is the current parenting style. The second issue is too much time spent in front of technology screens. When people feel disengaged from other people, that can lead to suicide. Joe Madden Offering $100 to Vida for her March Madness Bracket that was worth $300. Bob Collins Grandson, Noah Garel a senior at CHS, won the area DECA competition, placed at the Ohio level, and as the only CHS senior to do this he continues to the nationals in Orlando. Bob Collins Son’s girlfriend (a nurse) has been hired to work in the new mental unit announced today by Dr. Greg Ramey. Heavenly Father life is similar to gathering black berries. When there is something we want there is always some sticky deterrent. Some will plunge right in, while others decline because it’s too much trouble. Attitude in our search for anything is paramount to our success and Optimism is the fuel that spurs us on. Attitude and Optimism helps bring out the best in kids. Lord help us double our pleasure and find the best blackberries and bring out the best in kids. Amen! Donna Huss mentioned that we received a thank you note from Alter High School for our $500 donation for their after prom. One of the teachers thanked us for the recognition at the CNO 2.0 event last month. Pat Behn gave everyone more information about the Easter Egg hunt. We need volunteers to help stuff 6000 plastic eggs with candy on April 13, 2019 at 9 AM at St. Leonard’s. It sounds like a lot of eggs, but the work is spread out and takes a little over an hour. Please sign up or show up. There will be coffee and donuts for volunteers! The Easter Egg hunt will be at 10 AM on April 20, 2019, also at St. Leonard’s. Volunteers should show up at 8:30 to help spread the eggs in the grass for the kids to find at 10 AM. Coffee and donuts will be provided for volunteers! Bob Lawson announced that the fishing Derby will be on June 1, 2019. Let those planning on attend know they need to fill out the registration form and bring it to the derby. Spread the word on Facebook! Registration is between 8:00 – 9:00AM. The Fishing Derby starts at 9AM and lasts until 11:30AM. We supply free worms however you are permitted to bring your own bait and lures. We stock the ponds with approximately 400 pounds of Catfish for the Derby. There are other fish also in the ponds – mainly Bluegills. Prizes and trophies for all. Children ages 5-15 are encouraged to participate and try this event. The event is held at Washington Township Rec Center, in two ponds. Click here for registration form. Judy DeMarco announced that on Friday, May 10th, the Childhood Cancer Committee will be holding a Build-A-Bear event at Children’s Medical Center. Each child present will receive a stuffed animal and an outfit of their choice along with other festivities. Members are invited to sponsor a child at the Build-a-Bear for $25. Each sponsor will receive a picture of the child you sponsored holding their new stuffed animal. To sponsor a bear, mail your check payable to Centerville Noon Optimist, c/o Nancy Lehren, 6857 Cedar Cove Dr., Centerville, OH 45459. Jerry Stahley is selling raffle tickets for OI Junior Golf Championship. The price is 6 Tickets for $5 and the prize is a case of wine. Tickets will be available for the next few weeks. Arnie discussed what to expect in 2019. A new trail at Pleasant Hill Park (on the previous Zengel property) is opening and so far is about a three quarters of a mile long. Oak Grove Park is getting restrooms. St. Leonard/Bill Yeck Park has received a conservation easement. Arnie introduced Carrie Dittman, the Marketing and Communications Supervisor. Carrie first discussed the feedback she has received about Forest Field Park and the playground we donated last year. She is the person that receives firsthand the online reviews and statements about this state-of-the-art park. It is almost all 5-Star reviews and thank you notes about how much families like the park. You can view the full slide deck here. The Centerville-Washington Park District (CWPD) is a National Recreation and Park Association (NRPA) Gold Medal Finalist. To help them win, the CWPD had a video made. We were shown this video. The video mentions that the parks help to get kids away from the video games and out into the sunshine for some exercise. CWPD does a lot of surveys and focus groups to fine tune the programming and features at the parks. In the past 4 years they have had 2 major surveys. In 2018 there were 7 public meetings. Topics for the surveys include Athletic field ratings and park program participant feedback. CWPD makes use of social media channels. They have 5000 followers on Facebook. They also have Instagram and Twitter channels. Carrie introduced Ally DeShurko, the Recreation Coordinator/Summer Recreation Program Coordinator. Ally discussed new programs created based on feedback from the community. Adapted Action Day will be on Saturday June 22, 2019 at Oak Grove Park. Teen Games and Bonfire will be every Friday this summer for children aged 11-15. They will play dodge ball type games and then have a bonfire cookout. Others news from CWPD programming included: School outreach, Adventure backpacks, Self-guided interpretive nature hikes and pop-up dog parks. CWPD is now hiring for summer. Positions include full-time and part-time. Almost all positions are outdoor. Spring Stargazing will be on 4/13/2019 at Bill Yeck Park. The Garlic Mustard Pull information session will be 4/15/2019 at Bill Yeck Park at the Smith house. These weeds need to be removed or they will take over. So far, over 1500 pounds have been removed. World Tai Chi Day is on 4/27/2019 at Grant Park, Kennard Nature Nook. Big Rig Gig is on 5/11/2019 at Oak Grove Park. Over 500 kids will show up at this event. Dave Kay Michigan State is in final four. Melissa DeShurko Thanks to the park district and her daughter Ally DeShurko for being part of the presentation. Joan Cordonnier Thanks to the park district for their presentation. Charlie Goodwin Paul Stull is a new member of The Explorers Club. This prestigious organization is headquartered in New York City. Joe Madden Mary Madden will be happy today because it is their 26th wedding anniversary. Heavenly Father, most of the time when we hear the word “give”, we assume it’s money. Yet, there is so much more that giving really means. We can give of our time, talent, patience, encouragement, energy, approval and on and on. It’s our way of telling another that we care and hopefully give them a boost along life’s journey. Whenever we can, help us give, in all of givings aspects. It’ll reestablish the reason we became Optimists. Amen! Myron Rheaume informed us about the new OI Presidential incentive award of the Centennial “Promise Yourself” logo pin. The criteria for the award is to sponsor a new member, participate in a club project and submit a testimonial / “Optimist Story” to Optimist International that you have published. Myron has the form required to be filled out. Nancy Lehren announced that on Friday, May 10th, the Childhood Cancer Committee will be holding a Build-A-Bear event at Children’s Medical Center. Each child present will receive a stuffed animal and an outfit of their choice along with other festivities. Members are invited to sponsor a child at the Build-a-Bear for $25. Each sponsor will receive a picture of the child you sponsored holding their new stuffed animal. 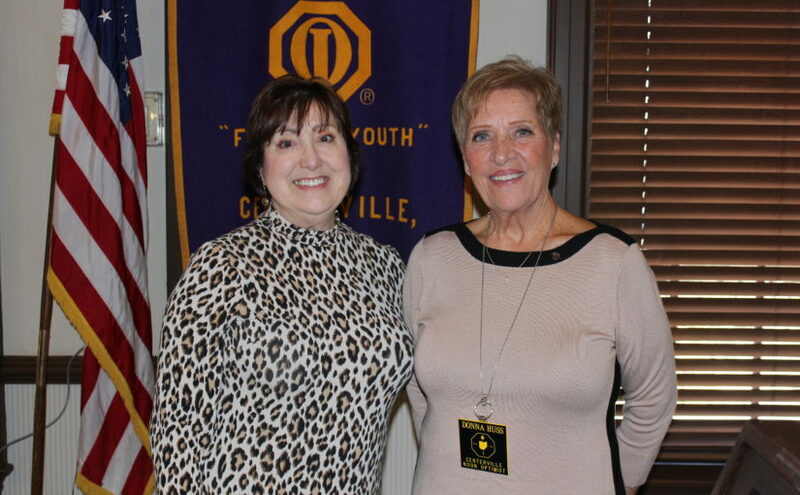 If you choose, there are two ways to sponsor a bear: Visit our table at the April 2nd luncheon to make your contribution by check or cash OR mail your check payable to Centerville Noon Optimist, c/o Nancy Lehren, 6857 Cedar Cove Dr., Centerville, OH 45459. Debe Dockins introduced Laura Mercer, Executive Director of Sinclair’s new Centerville Campus. Laura Mercer serves as the Executive Director of Sinclair Community College’s new Centerville Campus. She has over 30 years of experience in higher education and has held a wide variety of roles at the college since 1989. She has extensive expertise in higher education administration as well as a strong background in strategic planning, project management, and technology. Laura also served as a loaned executive in the role of Director of Adult Education Initiatives for the State of Ohio and is a 2011 Leadership Dayton Graduate. In 1887, Dayton YMCA General Secretary David A. Sinclair founded the courses of study to create skilled citizens to succeed in local jobs and life. His idea was “Find the need and endeavor to meet it.” Eventually the institution was named Sinclair College in 1948 and the college is currently celebrating 132 years! Laura shared updates about the recently opened Sinclair Centerville location. This is the first satellite location for Sinclair that is a magnet school instead of a feeder to the downtown location. It is located at 5800 Clyo Rd on 40 acres of land with a building of nearly 100,000 square feet. The new site will be used as an educational, cultural and community enrichment center. Phase 1 occupying 15,000 sq feet of the building is complete and phase 2 is coming soon. Sinclair Centerville first opened for the spring 2019 semester and had over 400 students. Enrollment for the summer 2019 session has begun. View Laura’s slide show here. The Cyber Security program has been moved from downtown to the Centerville campus. The Cybersecurity program is NSA recognized. Other areas taught include Networking and User Support. There is a free Cyber Showcase for the public on April 24, 2019 from 3 PM to 6 PM. Details are listed here. In 2017 the state provided conceptual approval for community colleges to offer applied bachelor’s degrees. Final approval is in place for bachelor’s degrees in Aviation and Unmanned Aerial Systems. There is strong cooperation for completing degrees with the University of Dayton, Wright State University, Ohio University and Indiana Wesleyan. In the past, a student would spend 2 years at Sinclair and the go elsewhere to complete their degree. Now there are many options including a BSN for nurses’ degree where a student spends 1 year at UD, 2 years at Sinclair and the final year at UD. There is projected to be a shortage of more than one million nurses by 2020 nationally. The demand for nurses with a bachelor’s degree is higher than nurses with lower degrees. Sinclair offers programs beyond college classes. It offers K-12 Enrichment, Recreation, Performances in the main theater, Speakers, Health Sciences, Certificates and Elementary Education. Laura introduced Zachary Beck, the Development Officer at the Sinclair Foundation. As of 12/31/2017 net assets of the foundation are $37,805,286. This is a 14% increase from the year before. Scholarships Awarded amounted to $1,128,115. Operating Expenses were $294,568. Investments in Program Support were $1,858,271. Jerry Stahley Left cardboard in his ball cap. Heavenly Father too many times we venture into the dark waters of life. We find ourselves treading water with no relief in sight, it is then that we turn to You for help. Your love for us provides the bridge over the troubled waters and puts us back on the road You intended us to walk. The static of the world sidetracks us too often. Help us to turn off the worlds temptations and stay with You in the fullness of our faith. By consistently staying with You, we can avoid the bargain basement temptations that dot our paths and led the young people in an optimistic way of life. Amen! Donna Huss announced that the next NOW event will be Tuesday, March 26th at St. Leonard’s Station House. This event will be held from 5-6:30 pm for the residents of St. Leonard. NOW is an acronym for “New Optimists Welcome”. Read more about it here. Pat Behn announced that we need volunteers to help stuff Easter eggs on April 13, 2019 at 9 AM at St Leonard’s restaurant. The actual Easter egg hunt will be April 20, 2019 and will be held on the grounds at St. Leonard’s. Gary Hansen and Diane Arehart will be chairing a new committee called the Engagement/Activation/Retention Committee. The objective is to ensure that our new members become engaged quickly and, therefore, choose to stay in our club. You can join the committee or choose to be a mentor to a new member. 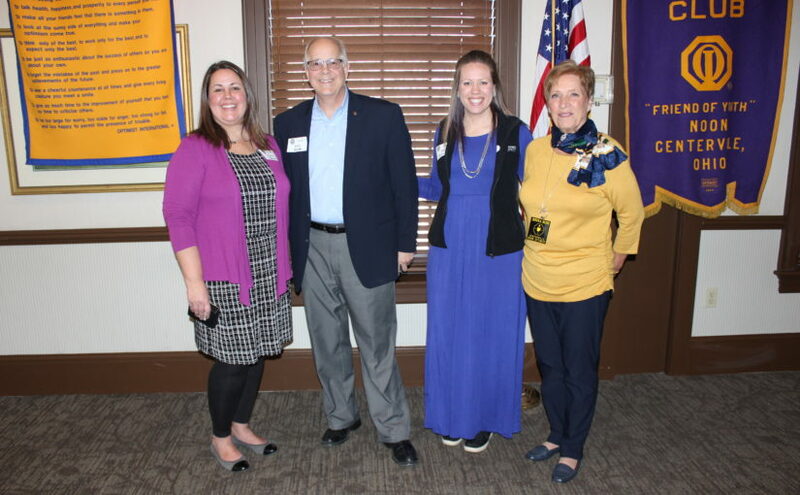 If you are interested, plan to attend our next meeting on Thursday, April 4, at 5:30pm at Panera Bread in downtown Centerville. Reach out to Gary Hansen or Diane Arehart for more information. 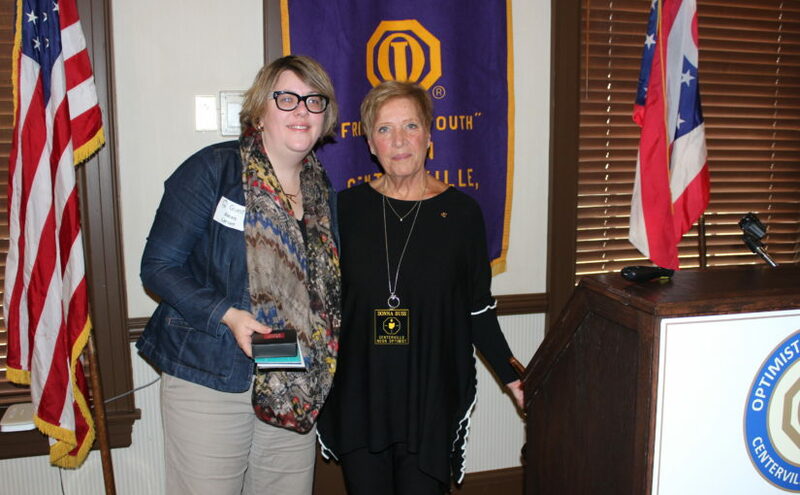 Kelly George, the CNO club chair of the Optimist International Essay Contest, explained the contest to us. Fifteen essays were submitted to CNO. She thanked this year’s volunteer judges of the essays: Debe Dockins, Glenn George, and Evelyn Griffin. Kelly will be the chairman at the district level next year, so our club is looking for a new chair for the next year. Let her know if you want to volunteer. Seventy clubs participate in this in Ohio. One winner from each club will compete at the state level and the winner at the state level will receive a $3500 scholarship ($2500 from Optimist International and $1000 from The Great Ohio District of OI). The top 3 essays were read today. The scoring was very close. Out of 300 possible points, only 6 points separated 3rd to second and only 8 points from 2nd to 1st. Emily Whitehead, a Senior at CHS, took third place. Emily received a Youth appreciation award from CNO in November, 2019. Receiving this award inspired her to write her essay. Optimism is a proactive lifestyle. As a band member at CHS and using optimism she helped fellow student Sarah who has Down’s syndrome learn to play the saxophone. She tutors students from third grade through high school. To help them succeed she gets them to replace the words “I can’t” with “I can”. Galileo Galilee championed the Scientific Method. Galileo wrote a book that condemned himself to a life sentence of house arrest. He optimistically believed it was the right thing to do. Throughout history optimism has allowed the world to lift itself by its boot straps. There must be a belief in progress to make progress. Optimism is the ability to believe in a better future. Optimism is difficult, messy and painful, but it is necessary to push society forward. Even in a perfect world, optimism is necessary to maintain perfection. Humanists brought a new way to view the world. There needs to be a shared spirit of ingenuity. It takes hard work and a strong sense of optimism. You must believe you are capable of a discovery to make discoveries. If a perfect world with no problems were to exist, this would make everyone lazy, and this then is a problem. Optimism solves this paradox, by believing you can make a perfect world better. Optimism can still create innovation in a perfect world. Innovation and improvement are necessary in a Utopian world to give a driving force to the human race. Without optimism the world would collapse. Optimism is the infrastructure to keep a perfect world perfect. 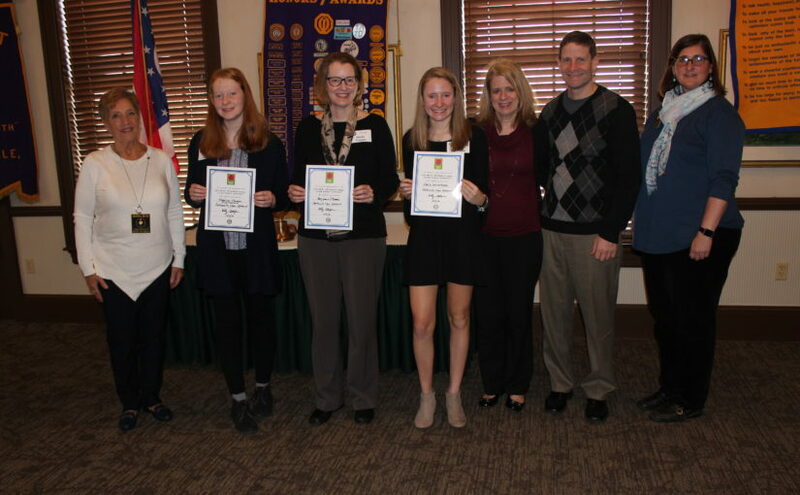 Thank you to our three contestants and their families for sharing their essays with our club. Heavenly Father we have called upon You many times to help us slow down in our run thru life. Yet, we continue to keep our shoulder to the wheel and do our best to be the early bird that gets the worm. The beauty You have created for us goes largely unnoticed. We need to remember also, that it’s the second mouse that gets the cheese. We need to realize that all of Jesus’s accomplishments were done at about 3 mph. Thank You for all our blessings and let us follow You Son’s example on getting er done by not putting the pedal to the metal. Amen! Donna Huss announced that the next NOW event will by Tuesday, March 26th at St. Leonard’s Station House. This event will be held from 5-6:30 pm for the residents of St. Leonard. NOW is an acronym for “New Optimists Welcome”. Read more about it here. Jerry Stahley is selling raffle tickets for the OI Junior Golf Championship. The price is 6 Tickets for $5 and the prize is a case of wine. Tickets will be available for the next couple of months. Stan Franzaglia, Childhood Cancer Committee, said the next Build-A-Bear will be early May, 2019. 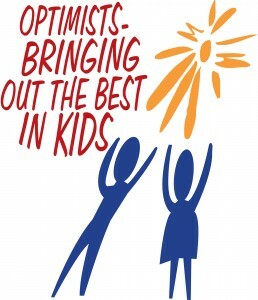 Greg Fay stated that the next Optimist 2.0 meeting is March 21, 2019, 4 PM, at Heavier Than Air Brewing Company. It starts earlier than normal so you can enjoy the basketball tournament. Mike Bevis, Golf Committee, said the golf tournament will be Monday, July 15, 2019. The next meeting will be March 20, 2019 at Buckeye Home Health Care. Rosalie Catalano showed and discussed a slide show that you can view here. Muse Machine was founded by Suzy Bassani. The Suzy Bassani Theater Off Third is still open, and she is still active in an unofficial capacity. Students served are from Pre-K through 12. They believe the arts should be available to all children. They help 76000+ students in 108 schools in 13 counties in Ohio and Kentucky. They target Title 1 schools. A Title 1 school is one where at least 40% of students receive free or reduced-price lunches. There has been a dramatic increase in recent years of students receiving these benefits. They serve nearly all the Title 1 schools in the area. In-School performances include performances by Dayton Opera, The Human Race Theatre Company, Dayton Contemporary Dance Company and more. Out-of-School performances provide opportunities to attend shows from Broadway tours and other top-level performances at a discounted rate. Venues include Schuster Center, Victoria Theatre and the Loft Theatre. If a child’s school does not participate in Muse, any child can apply online including home schooled children. Recently children had an opportunity to take a bus to Chicago to see the play “Hamilton”. They have expanded the pre-school and elementary offerings to include activities in the summer in addition to the regular school year. A recent workshop for 1st graders was called, “It is all about the money honey.” They learned basic economics, the purpose of money, manufacturing and more. Every year there is a week-long seminar in New York. Teachers attend a diverse array of performances and arts events. They meet with producers and actors and brainstorm ways to integrate new ideas into their own classrooms. Each teacher is required to create a lesson plan from their experience. Muse for educators helped teacher earn 2000 hours of continuing education credits. Over $700,000 of Muse’s $1.3 Million annual budget comes from: individuals, corporations and small businesses, civic groups, foundations and foundation grants, and government grants. The Muse Machine website has a lot of information about what they do, including calendars and a bunch of lesson plans for teachers to use whenever they want. Donations can be made here. A recent grant from the National Endowment for the Arts will allow them to put on a multi-cultural show at the Loft in downtown Dayton. Rosalie Catalano invited any of us to come see an in-school performance. She said to just give her a call, her contact information is on the website. Thank you, Rosalie, for the uplifting and informational presentation. Donna Huss Thanks for the appreciative comments about the meals and the job she is doing as president. Melissa DeShurko First grandchild was just born. Nick Tarkany Second grandchild is on the way, a girl. Morgan Schiffhauer Thanks for everyone wishing her a happy birthday at today’s meeting. Morgan Schiffhauer The singing of “Happy Birthday” was horrible, but it’s the thought that counts. Art Hung Ed Case is in the house. Joan Cordonnier Middle of track season and she needs temp and permanent employees. Scott Langer announced that Tri-Star basketball will be on March 16, 2019 at Watts Middle school. Jerry Stahley is selling raffle tickets for OI Junior Golf Championship. The price is 6 Tickets for $5 and the prize is a case of wine. Tickets will be available for the next couple of months. Debe Dockins introduced today’s speaker David Jablonski. David Jablonski covers the Dayton Flyers, Ohio State Buckeyes football, the Cincinnati Reds and Wittenberg University sports for the Dayton Daily News, Springfield News-Sun, Journal News and WHIO. He graduated from Fayetteville High School in 1995 and the E.W. Scripps School of Journalism at Ohio University in 1999. He completed internships at the Fort Wayne Journal Gazette, the South Bend Tribune and the Scripps Howard News Service and worked at the Vero Beach (Fla.) Press Journal for two years in his first job after college before returning to Ohio in 2001 to work at the News-Sun. He was born in Toledo, Ohio, and grew up in Mount Orab, Ohio. David is from Mt. Orab, but his parents are from the Dayton area. His grandfather was a dean at UD. He saw many UC games as a teen because his father went there. He covered local sports in Springfield, Ohio from 2001 -2012. In 2013 he was moved to cover University of Dayton Sports, Cincinnati Reds, and The Ohio State University. His primary focus is the Dayton Flyers. While watching the game he takes about 1500 photos. His wife is a photographer for the Columbus Dispatch and she taught him enough to do his own photography. He has a special mount on his camera to hold his smartphone that he uses to capture video. He goes to every single Flyers game, so he has visited multiple east coast cities. He arranges his own travel. He, his wife and their newborn child appreciate not traveling with the team because the team usually travels a day ahead of time. He can be home about 28 hours after leaving his home in Columbus. He likes covering sports from the field of play. It is a lot more exciting being on the field and he gets to do this with the Flyers, Reds and OSU. He fielded several questions from people attending lunch. Thanks for speaking today David Jablonski! Joe Madden Missing too many lunches! Welcome back! Joe Madden Happy to be at lunch. Thank you everyone for the support while he was in the hospital. Mary Madden Happy Joe is at lunch. Gail Aiken Grandson Born Jan 2, 2019. Myron Rheaume Grandson Liam Hatton a Freshman on the Springboro HS varsity hockey team named first team all conference and is an Ohio first team hockey academic scholar athlete. Bob Collins 55th wedding anniversary with Karen Collins! Tom Kendo Glad Joe Madden was at today’s meeting. Jay McAlpine Caribbean vacation to celebrate his and Kathy’s 45th wedding anniversary. Tom Kendo, the immediate past governor of the Great Ohio District, was a guest today. He presented CNO member Pat Behn with the Optimist Hall of Fame Award. 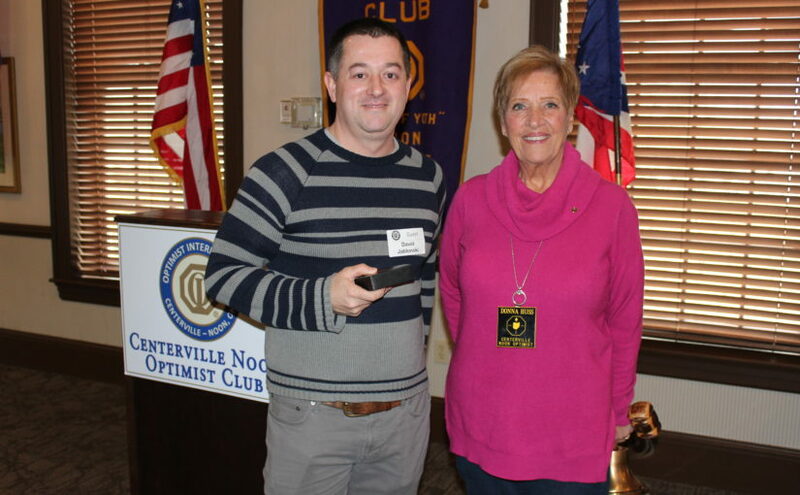 Pat Behn has been a member since 2003 and is very deserving of this, the highest honor presented by Optimist International. Thank you Pat Behn for everything you have done, do and will do! Pat Behn’s Birthday was today so Charlie Tapp led us in singing Happy Birthday to Pat as only we can. If the goal is to show how much we appreciate the birthday honoree by singing as far off key as possible, then we obviously love Pat Behn a LOT! Today’s Presentation about the Modern College of Design. Bill Williams introduced today’s speaker, Jessica Barry, the President, Owner and a graduate of The Modern College of Design (aka “The Modern”). She grew up in Versailles, Ohio. She graduated from The Modern in 1987. She became its president in 2007 and purchased the school from founder Tim Potter in 2013. Jessica presented to us the history, mission and vision of The Modern. The Modern, (originally called The School of Advertising Art,) was founded in 1983 by Tim Potter and is located on David Road in Kettering. It is a nationally recognized college for design. About a year ago they moved to their current 23,000 square foot location. Since moving they have added 17 more employees. The Dayton Business Journal named The Modern College of Design as the 2018 overall Business of the Year. About 30% of the students are from the local area. The other 70% are from all over including as far away as California. Social media has helped spread the word about The Modern. The Modern helps its students find housing in Kettering. Local business owners in the area appreciate how many students the school brings to the area as they need young, reliable workers to work in their local businesses. The Modern is a microcosm of a larger University. They currently have 200 students. Even though they have a lot fewer students than a typical college, they offer all the expected services such as financial aid and scholarships. Classes generally have 12-20 students, but never more than 20 students. Currently there are 1400 alumni and the job placement rate ranges from 93-100%, with 90% of graduates finding jobs in Dayton, Cincinnati and Columbus. Others who have left the area have landed prestigious jobs at well-known companies like Apple and Nike. The Modern offers an associate degree that can be completed in two years. Graduates are ready for entry level jobs after the fast-paced curriculum. Design skills learned include web-based languages such as CSS and HTML. The Modern is finishing the process of being approved to offer a bachelor’s degree. The program focuses on helping students become entrepreneurs. They learn leadership and strategies to form a business in addition to learning design. Their vision is to create students that are passionate about their work and work with integrity. Looking ahead Jessica said they need to hire more professors. Now, because of the bachelor’s program, The Modern needs to teach more math and science and they need professors to do this. They now have enough students that they are working on building their first dorm to help with first year housing. Heavenly Father where ever we are in our walk thru life, we owe a debt of gratitude to You and others. Gratitude is the soft thoughts from the heart that express our feelings of thanks for the good feeling they gave us. Gratitude comes in all sizes, from an act that saved a life to a genuine smile of a stranger as we passed. Gratitude is a great feeling for both the giver an receiver. Too many times we fail to give thanks for the little gifts of life. Like Woolworth said “little nickels and dimes add up.” When we have a good day, let us realize You most likely had a hand in it and give thanks. Amen! Bill Williams introduced Alexis Larsen, the External Affairs Director of The Dayton Art Institute. The Dayton Art Institute (DAI) is celebrating the 100-year anniversary of the founding of the Dayton Art Institute. The “Gem on the Hill” was founded on February 28, 1919. The museum was opened to the public on January 10, 1930. In 2019 DAI will celebrate by launching 100 events at the museum. There will be numerous improvements to the building and grounds with many changes for improved accessibility. The improvements are estimated to cost $9.7 million. The building was a gift from Julia Shaw Patterson Carnell who was born in Dayton, OH on July 10, 1863 (check Dayton). She decided to donate $2 million as an endowment to the museum. Construction began for the current building in 1928 after 2 mansions that were donated were demolished. Unfortunately, the Great Depression occurred from 1929 – 1939 and the pledged donations dried up. Julia’s $2 million was transferred from the endowment to finish the building. The current endowment is very underfunded for a museum of its size. Of the nearly $5 Million annual budget, 50% comes from contributions. The number one way to support the museum is to purchase a membership that is tax deductible. Two annual fund raisers, Octoberfest and the Art Ball, bring in $500,000 or one tenth of the annual budget. They are looking for more donations for additional improvements. The museum wants to add $15 million to their endowments. Jerry Smith is the new curator and he is making numerous improvements to the collections. The DAI collection is of the Encyclopedic museum type. The collection spans 5000 years. The Asian collection has been ranked as high as number 5 in the world. Maker & Muse: Women and Early 20th-Century Art Jewelry, October 25, 2019–January 19, 2020. Julia was involved in the design of the building. Julia was impressed with Italian architecture during her travels so the new museum was modelled after that. She is quoted as saying to the designers, “No cloisters, then no building.” The gothic cloister was enclosed with the dome in the 1990’s. People travel to the DAI to study the Japanese Maple tree and the numerous columns located in the cloisters. Alexis noted that the European collection includes a Monet. The Monet was generously donated by a successful businessman in New York. She is glad they asked him for it, because that is all it took to get it for DAI. The museum is very family friendly. Education resources include the Lange Family Experience Center. In 1964 the Dayton Art Institute school expanded and closed after 1974-75 school year. In 1997 DAI completed Julia’s vision of the expansion including modern art. Julia Shaw Patterson Carnell is the cofounder of the Dayton Foundation. In the great hall of the museum there is a portrait of Julia Shaw Patterson Carnell. Heavenly Father each piece of a quilt has its own color, pattern, texture and design. But when they are put together, they become a work of art. Just like the people in our Optimist club who have unique personalities, talents and skills. Our presence blesses one another in countless ways and helps touch the kids in a reflection of Your love. We pray that You will hold all the members in Your thoughts and continue to bless our work. The young people are a very important part of the fabric of our lives. Help us to continue to make it a tapestry of love. Amen! There will be a Wine and Beer tasting event on Saturday, February 23rd, 2019 at Diane and Patrick Arehart’s residence. You can taste wine, beer or both or just come to socialize. Contact Diane Arehart (dla@arehart.com) or Beth Duncan (beth@lizardap.com) to sign up. Golf Committee will be meeting on Wednesday, February 20th, 2019 at 6:00 pm at Buckeye Home Care located on Paragon Road. Childhood Cancer will be meeting on Thursday March 14th, 2019, at 6:30 at the Centerville Panera Bread. Liz Fultz, the chair of the Oratorical contest, introduced the participating students and described this annual event. This is the third year for Liz to chair this event. She would like to thank the content and timing judges for assisting with the event. Today we have the second group of participants for the Margaret Barclay Memorial 2019 Optimist Oratorical Contest. 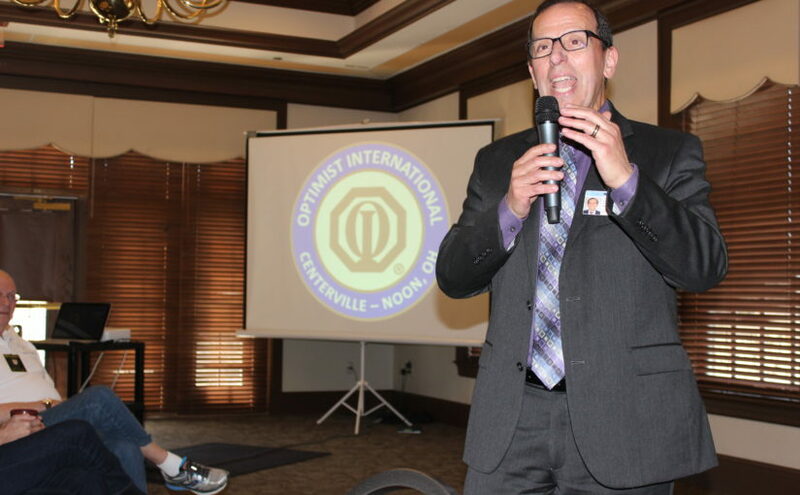 Since it was established in 1928, the Oratorical Contest has become the longest-running program sponsored by Optimists International. This contest is named in honor of former Optimist member Margaret Barclay who passed away in 2010. Margaret chaired this committee for many years. She cared deeply about bringing out the best in kids and in living the Optimist Creed. She was a most beloved member of our club, a past president and lived a life dedicated to helping others. Margaret Barclay’s accomplishments were vast including 40 years in public education, the last 27 in the Centerville Schools. She retired in 2000 as Principal at Magsig Middle School. It is a pleasure to see her memory continually being recognized in this way. 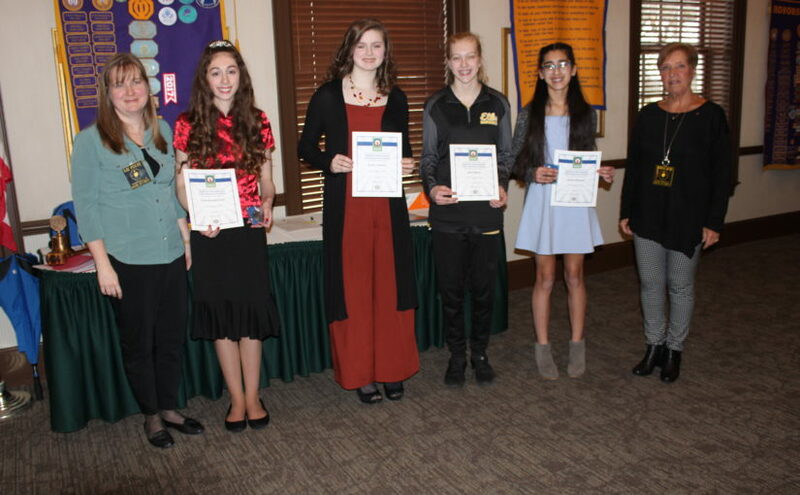 The Oratorical Contest is done in collaboration with Centerville Evening and South Metro Optimists, who also sponsor contests. Mr. Roy Barclay, husband of Margaret, supports the contest by making an annual donation. Thank you, Roy, for your ongoing contributions and support of this contest. The rules were changed this year by Optimist International to make it co-ed instead of a boy group and a girl group. Contestants deliver a four to five-minute speech. One winner from each contest advances to the zone competition and then can advance to the finals at the district level. Districts have the opportunity to provide a first-place scholarship of $2,500, a second-place scholarship of $1,500, and a third place scholarship of $1,000. The 2019 topic “Is There a Fine Line Between Optimism and Reality?”. To keep the judging fair, the names of the contestants were kept secret and we were not allowed to applaud the participants until all had presented. All of today’s students were from Centerville schools and were female. Speaker A went first. She said that optimism and reality are not on opposite sides of the line but are interwoven. “Optimism is the faith that leads to achievement. Nothing can be done without hope and confidence”, a quote from Helen Keller. If you do the work in school, you will get that A, just being optimistic isn’t enough. Expectations in observing an event can change the perception of an event. Don’t be reckless with your optimism. If you don’t know how to ski, don’t start on the Diamond slope because reality still matters no matter how optimistic you are. Speaker B was next. Imagine you have a hard head injury in a football game. The coach asks you what your name is and you don’t know it. You have been disconnected from reality. Optimists are fully aware of their reality. Optimists work hard to find nuggets of positivity in a difficult situation. Optimists value positivity and have created habits to stay happy. Sometimes an optimist blocks out the reality. A realist sees the worst in a situation. An optimist will look for ways to improve if they didn’t make it on a team, while a realist will complain about uncontrollable factors for why they didn’t make it. Speaker C was next. Thomas Edison ignored the line between optimism and reality He ran his electric experiments more than 1000 times before succeeding with the electric light bulb. In the story of David vs Goliath, David’s optimism was important for giving him the strength to stand up against the Goliath with just a slingshot as a weapon. She said she had practiced dance her entire life. She planned to be a primary dancer with the American Ballet Theater dance company. She had to quit dancing because of a disease she developed in her legs. Being an optimist, she started playing the violin again since she couldn’t dance anymore. She was very far behind the other students who had been in the symphony orchestra for several years already. She stayed optimistic and was able to catch up to the other musicians and play as well as the best players. God has intertwined the line of optimism and reality, that weaves a beautiful tapestry of life. In conclusion she said abolish the line and make the impossible possible. Speaker D was our final speaker. When life gives you lemons, make lemonade. Looking on the bright side of life can have a major impact on your life. Optimism can affect your life both physically and mentally. Optimists tend to live a longer, healthier life. Reality can be affected by optimism and make it better. Being optimistic can change the reality of others around you. Use positivity to achieve goals. You are more likely to achieve goals when you are optimistic. When younger at a gymnastics competition, she was very nervous, but she was optimistic, and she overcame her nerves and took first place. You must have a sense of reality while being optimistic. You still must try, learn and achieve to reach your goals. Firefighters in California are fighting numerous wild fires. They need both reality and optimism to put the fires out quickly and safely. The relationship between optimism and reality require that you need to be realistic in your goals. All four students did a fantastic job in both content and presentation. Only one moves forward and that is speaker D. You are welcome to go see her at the next round of the Oratorical contest at the library in a couple of weeks. No happy bucks this week. countless ways and helps touch the kids in a reflection of Your love. 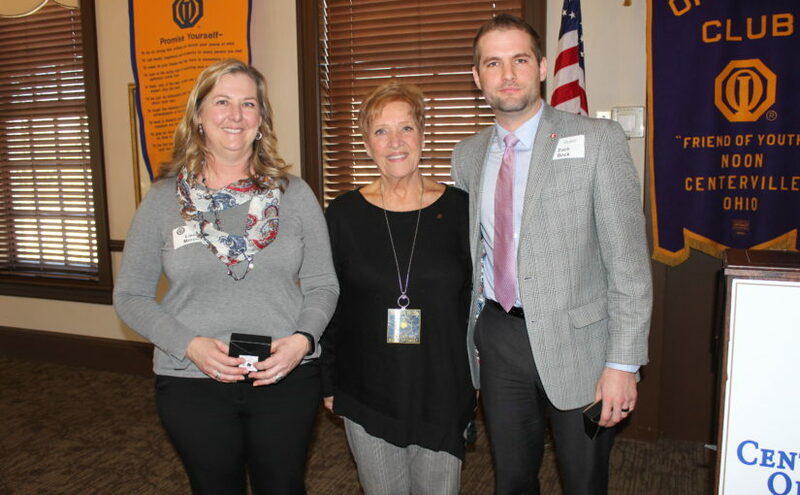 Donna Huss presented “Flippin’ Awesome” awards to Evelyn Griffin and Tom Novak for their support of the January 17th 2019 NOW event. Evelyn produced a mailing from every individual that had a tree delivered during our tree lot sale. Tom completed a mailing to all of the current AOF (Avenue of Flags) subscribers. Both of these individuals went “Above and Beyond” to assist in making the NOW event the success it was. Thank you, again, to both of you!! NOW is an acronym for “New Optimists Welcome”. Read more about it here. We will be having more NOW events this year. Golf Committee: Next committee meeting will be Wednesday, February 20th, 2019 at 6:00 pm at Buckeye Home Care located on Paragon Road. PGI/PDP: Myron will again be available before and after next week’s lunch meeting to sign-up or update member passports. Please make an effort to see Myron. Childhood Cancer: Next committee meeting will be Thursday, February 7th, 2019 at the Centerville Panera at 6:30pm. Their next meeting is March 14th, 2019 (same time and location). Social Committee: there will be a Wine and Beer tasting event on Saturday, February 23rd, 2019 at Diane and Patrick Arehart’s residence. You can try both wine and beer, or just one (or neither, there will be lots of food). More details will follow. 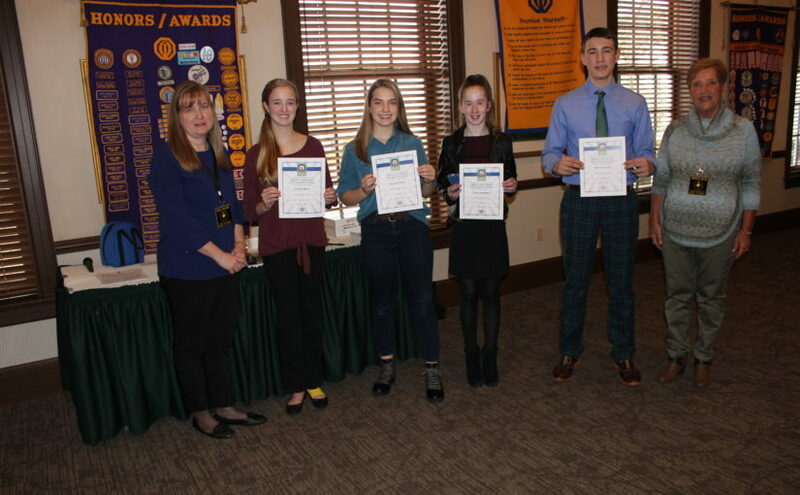 February 5th 2019 is the first day of the Margaret Barclay Memorial 2019 Optimist Oratorical Contest. 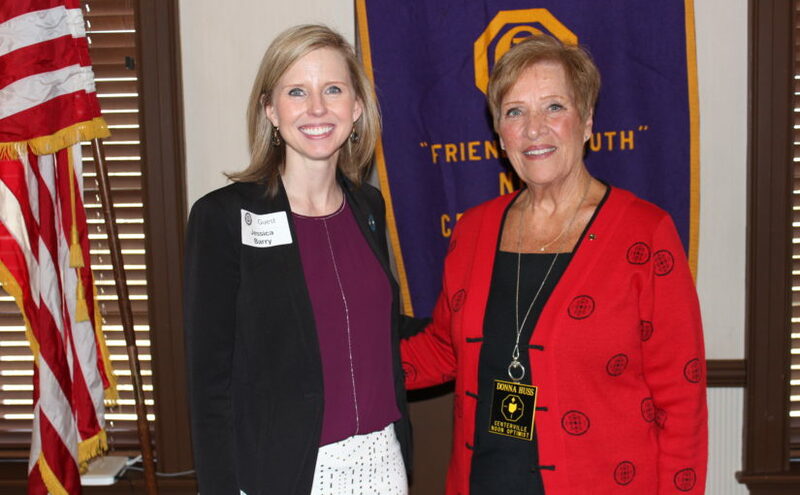 Since it was established in 1928, the Oratorical Contest has become the longest-running program sponsored by Optimists International. This contest is named in honor of former Optimist member Margaret Barclay who passed away in 2010. Margaret chaired this committee for many years. She cared deeply about bringing out the best in kids and in living the Optimist Creed. She was a most beloved member of our club, a past president and lived a life dedicated to helping others. Margaret Barclay’s accomplishments were vast including 40 years in public education, the last 27 in the Centerville Schools. She retired in 2000 as Principal at Magsig Middle School. It is a pleasure to see her memory continually being recognized in this way. Contestants deliver a four to five minute speech. One winner from each contest advances to the zone competition and then can advance to the finals at the district level. Districts have the opportunity to provide a first place scholarship of $2,500, a second place scholarship of $1,500, and a third place scholarship of $1,000. To keep the judging fair, the names of the contestants were kept secret and we were not allowed to applaud the participants until all had presented. This contest will be held at our lunch this week and next. This week all four students are from Incarnation School. Next week there will be 3 from Centerville middle schools and another from Incarnation School. Today, the first three participants were female and the final a male. Speaker B was next. Thomas Jefferson said, “Nothing can stop a positive man from doing anything he wants to do.” Navy Seals use active optimism. She said the optimist in her is helping her recover from a recent concussion. The Navy Seals are not successful from luck, but from preparation and a positive optimism. Ghandi, Jefferson and Ben Carson all used a positive mental attitude to reach their goals. Speaker C was next. She quoted Mary Lou Retton, “Optimism is a happiness magnet. If you stay positive, good things and good people will be drawn to you.” Being optimistic is a magnet for success. The fine line lies between the meaning of the two terms optimism and reality. The appearance of reality is affected by whether you choose an optimistic or pessimistic outlook. Hope and optimism improves reality. She shared a story of how her sports team stayed optimistic on a very hot day to come back and win a match. Speaker D was our final speaker. Steve Jobs quoted, “You cannot connect the dots moving forward, only by looking back.” Optimism allows you to work on the future dots with the plan that they will connect. Optimists expect good from reality and live a life being positive. You want your reality to be the best it can be. Optimism is a mindset to make tasks in life easier. There is a fine line and hopefully your dots will be connected in a positive way. All four students did a fantastic job in both content and presentation. Only one moves forward and that is speaker C. You are welcome to go see her at the next round of the Oratorical contest at the library in a couple of weeks. Due to the time needed for Boys and Girls Oratorical Contests, we did not do any new reading nor inductions this week.